I didn’t realize how many leftover turkey recipes were in my recipe box, until I decided to share them. This is a great recipe that my mom used to make a few days after Thanksgiving. Sometimes, we’d have so much turkey leftover that she’d make this recipe and pop it in the freezer so we’d be able to eat it a month or so later. The Leftover Turkey Meatloaf is moist and decidedly delicious, even after being frozen. 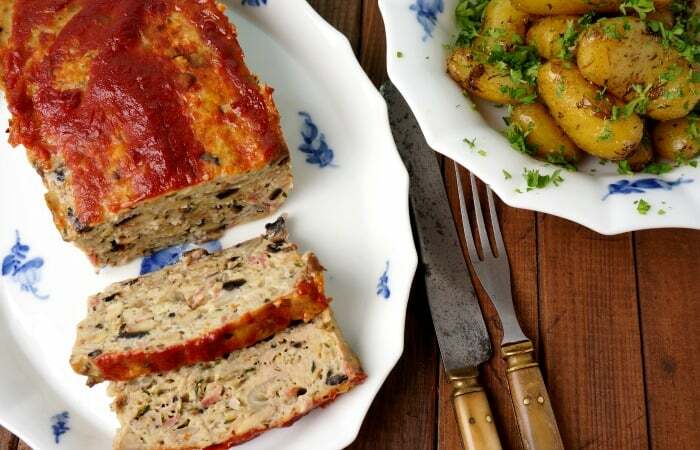 I don’t know if its the turkey, the seasonings or just the fact that I love meatloaf, but this recipe is definitely one of my after-holiday-feast favorites. For whatever reason, this is one of those recipes that I associate with the holidays, but it really could be made anytime of the year. You could just get a smoked turkey breast from the grocery store any old evening and make this. I actually did this for the pictures, because it’s been like a while since I made it. My daughter likes to pair this with leftover mashed potatoes, layered like a sandwich (she’s so silly), but I like to make roasted garlic fingerling potatoes. Mix together all ingredients, except the Ketchup. Place in a greased 9 x 5 x 3 loaf pan. Paint top of turkey loaf with Ketchup. Bake for approximately 30-40 minutes, or until Ketchup begins to brown. That leftover turkey’s not loafing around this house. (heh) It’s got to get going or get gone–and that’s what will happen when I set this delicious Leftover Turkey Meatloaf dish on the table. PS: Make sure you pin this recipe to come back and make it every single time you cook a turkey! 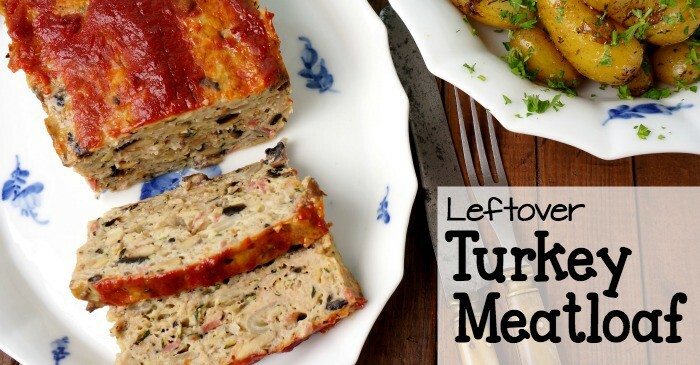 Don't Let Your Leftover Turkey Loaf! 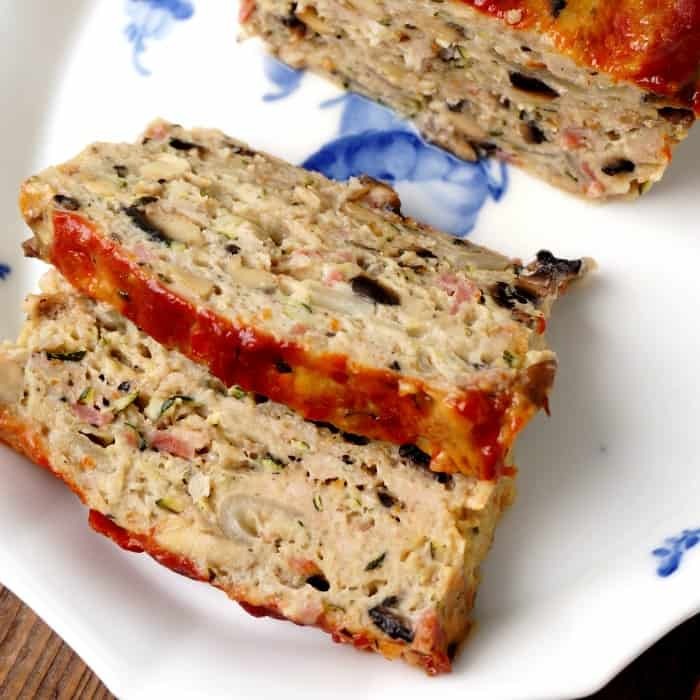 The Leftover Turkey Meatloaf is moist and decidedly delicious, even after being frozen. 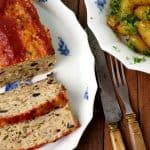 I don't know if its the turkey, the seasonings or just the fact that I love meatloaf, but this recipe is definitely one of my after-holiday-feast favorites.